On this page, find white papers, case studies, videos and other helpful content. Be sure to check back frequently for updates. Amware eBrochure -- an overview of Amware Fulfillment and its service offerings. The Logistics of Marketing -- reduce costs and boost results with Amware's marketing fulfillment and and print solutions. Optimizing Distribution of Print and Marketing Materials -- highlights from six companies in different industries and how they were able to streamline and save money on their print and marketing materials. The Ultimate Guide to Seller Fulfilled Prime -- a look at its PROs and CONs. Fulfillment for Dummies -- a crash course for entrepreneurs and business leaders. KPIs for Warehouse Fulfillment Operations -- 10 tips for setting objectives and measuring performance. How Many Warehouses Do You Really Need? -- strike the balance between cost and speed. How to Reduce Fulfillment Costs: Focus on Your Parcel Spend -- the title says it all. 5 Reasons Why eCommerce Supply Chains Fail -- and how to avoid those missteps. Mastering Multi-Channel Fulfillment -- how to do it. Can Your Fulfillment Operations Scale? -- we help you answer this key strategic question. Is Fulfillment By Amazon Right for Your Business? -- there are more customizable alternatives. Five Keys to Direct Sales Fulfillment Success -- based on our fulfillment experience with 10 top direct sellers. 8 Experts on Marketing Fulfillment -- top marketers share advice and insights on why fulfillment matters. 4 Steps to Optimize Marketing Fulfillment -- four steps to take to maximize your marketing budget with better fulfillment. 3 Ways You Can Boost Productivity and Save Money -- achieve an effective and efficient marketing fulfillment and print program. 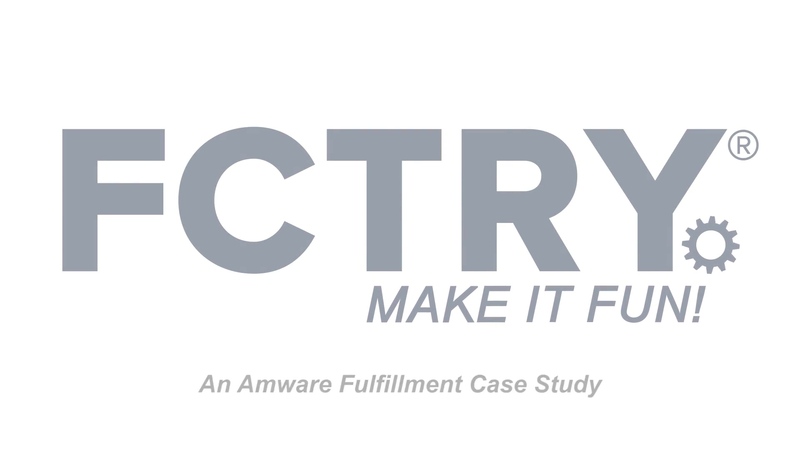 Visit our fulfillment case studies page to learn how Amware helps fast-growing brands to scale operations. Data Sheet: Transportation Management -- leave transportation to the experts, while reducing outbound freight costs 2% to 10%. Data Sheet: Inbound Freight -- reduce freight costs 5% to 12% by integrating inbound shipping with fulfillment services. Data Sheet: Parcel Returns -- reduce costs 10% to 15% while making returns fast and easy for customers. Data Sheet: Economy Ground Shipping -- save 10-30% without sacrificing speed. Data Sheet: Custom Kitting -- eKit, Amware’s online, on-demand kit building tool, lets you create custom kits, training materials, booklets and more. Data Sheet: Fulfillment and Distribution -- get your marketing messages, materials and products to market quickly, accurately and cost-effectively. Data Sheet: Warehousing and Online Inventory -- reduce cost up to 30% with accurate, real-time ordering and inventory data, through a customized web portal. Data Sheet: Print Management -- save at least 10-20% on production and distribution of your business and marketing print communications. Data Sheet: 5 Best Must Haves -- five best practices for your marketing fulfillment program.